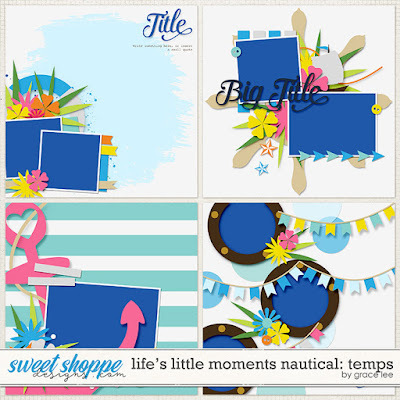 Life's Little Moments Nautical: Temps is an ocean-themed kit with refreshing colors and lots of beachy elements that make this kit a great match for any summer layout. If you're looking for a kit to scrap a vacation, whether on the shore or on a cruise, you don't need to look any further! 4 12x12 templates in .PSD, .TIFF, .PNG, and.PAGE formats.